Overview: TritonAudio design and produce innovative pro audio gear which excels in design and quality. Our products are handcrafted in the Netherlands and supplied to the international recording and pro audio communities. TritonAudio is the cooperation between Erwin Erkamp and Peter-Paul Wijte, both from Alkmaar, the Netherlands. We are long time friends with a passion for music and audio electronics. We have a background in high end audio, mechanical engineering and studio equipment engineering. We love audio equipment and look upon developing it as a form of art, always practised from a a high-end philosophy and a desire to create the best device possible. Standalone high end, low THD, 48V Phantom supply. Our opinion: The only real update on the now standard Phantom powering scheme, the advantages of this 48V supply are easily heard but will only work with Schoeps style transformer-less microphones. Literally a breath of fresh air when used with any such mic. We like the enhanced detail and clarity of the low end especially. Note: This device does not affect the frequency response of the microphone but lowers the mic output's THD significantly. For powering condenser microphones, the IEC 61938 Phantom Power supply has been the standard for years. Although being proven technology, there are several disadvantages to the current implementation. The microphone signal, for instance is not completely available to the microphone preamp. Also, isolation from the rest of the preamp or mixer circuit is not complete. True Phantom uses patented technology which overcomes these problems, compared to traditional Phantom Power supplies it achieves lower distortion and an increase of the signal-to-noise ratio. NOTE: When engaging the direct switch, be certain the channel onto which True Phantom is connected can handle P48 Phantom Power. Normally gear where you'll plug the True Phantom, especially microphone preamps, should have no difficulty in handling Phantom Power but to be really sure consult the manufacturer of your preamp. Do not turn your preamp's Phantom power on! Currently available in 220-240 VAC (but internally switchable to 110-120 VAC). Price: 350€ Exc. VAT /423,50€ Inc. VAT. XLR Mic signal booster, booster with P48, booster/filter. Our opinion: Clean gain and a high impedance yielding no-load conditions with any mic. The Fethead is aimed at ribbon mics, the Phantom can be used with condenser mics so old condensers with low output suddenly come to life and the FetHead Filter gently rolls off the low end, giving a more natural tone balance to directional mics (cardioid, Fig-8) when used up close. FetHead is a high quality, phantom powered in-line preamplifier providing improved sound for ribbon and dynamic microphones. The electronics are housed in a robust metal chassis with a balanced 3-pole female XLR input and a balanced 3-pole male XLR output, rugged enough for use at home, in the studio or on tour. 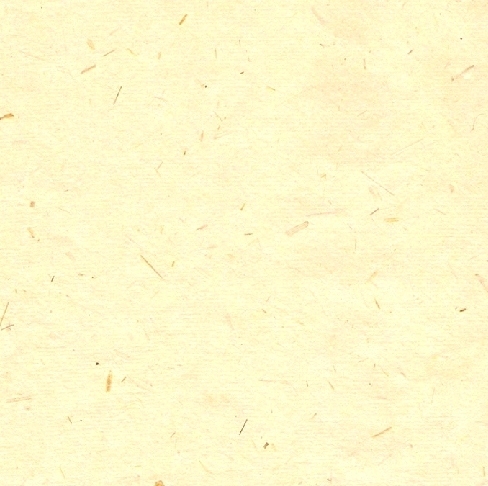 The current version has even lower noise and THD compared to the original one. It can be distinguished by the type indication ring below the TritonAudio badge. Click here for a review on Pro-tools-expert.com . Click here for in-depth demo video. Any dynamic microphone. Ribbon microphones benefit greatly too because of a much better impedance match, which lessens the load on the microphone, giving it better transient response characteristics. FetHead's high quality, low noise signal amplification also extends the usable range of a ribbon microphone, by making it more suitable for recording softer passages without introducing noise issues. Some ribbon microphones do not tolerate phantom power well, FetHead's circuit uses Phantom power but shields it from its input (and the microphone's output), as a result it offers effective protection to the microphone. Fethead uses low noise jfets configured as a double class a amplifier. Jfet's are among the most quiet amplifying elements available today. The calculated noise figure of FetHead is lower than we are able to measure. FetHead Phantom is a FetHead version which allows phantom power to reach the microphone. Low sensivity condensers can now have healthy output levels with full frequency and transient response. Also helps to properly balance unbalanced output mics like original Oktava MK012 and such. 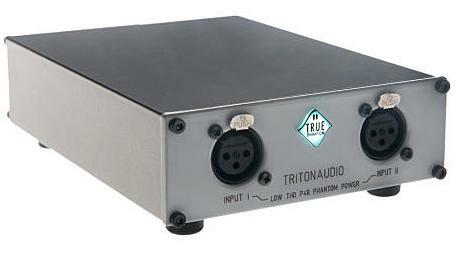 FetHead Phantom can be distinguished by the type indication ring below the TritonAudio badge. FetHead Filter is a Fethead version with a built-in 6dB/octave high pass filter with a corner frequency of 220Hz (other cutoff frequencies available on request). It is specially designed for microphones which exhibit a strong or perhaps excessive proximity effect / low frequency response boost, like long motor ribbon microphones but also some dynamic hypercardioids like the Sennheiser MD441. FetHead Filter can be distinguished by the type indication ring below the TritonAudio badge. XLR size instrument Direct Inject adaptor. Our opinion: The Bigamp V2 (2014 version) is a very handy "miniature" high quality DI box. Totally clean and quiet. Should be mendatory for Live engineers who work in unknown venues and often end up with poor quality DI boxes supplied by the venue organizers. The Piezo version works equally well when a higher input Z is required. BigAmp is a small sized high quality jfet instrument preamp which performs equally well on stage as it does in a studio environment. It has a 1/4" female jack input which accepts signals ranging from the piezo pickup of a double bass, cello or acoustic guitar to the line level output of a synthesizer. BigAmp's provides amplification and converts the instrument output signal from unbalanced to balanced. BigAmp is an ideal companion for DAW recording. By recording a clean signal directly to disk you get the advantage of being able to sculpt the sound of your recorded track with your favourite plugin's during mixdown. Stick BigAmp on a microphone cable, plug in your electric guitar, Bass(or any other instrument with a jack output) and switch on phantom power. BigAmp goes directly into a balanced input of your mixing desk, it can also be used as a frontend for your microphone-pre or channel strip in a (home)studio setup. BigAmp matches the high impedance unbalanced output of your guitar with the balanced low impedance input of a mixing desk/microphone-pre. A piëzo transducer typically has an impedance of several Mega Ohms, which is much higher compared to the high-Z input of instrument preamps or mixing consoles. This prevents the transducer to deliver its potential output signal to the preamp and restricts transient response. Additionally, the high impedance combined with the capacity of the cable to the preamp forms a low pass filter, making a piëzo transducer often sound uninspiring. BigAmp Piëzo is a BigAmp version specially designed to overcome above issues. It has a 7.5 Mega Ohms input Impedance, which enables the piëzo transducer to deliver its full potential. Signal amplification is low (3dB) to allow for the highest possible headroom. Because of its small size BigAmp piëzo can be connected as close to the transducer as possible which keeps cable capacitance to a minimum. Our opinion: This adapter can be a lifesaver in Live settings when you have Phantom power distributed between stage, monitor and FOH consoles and preamps: don't let Phantom go where it shouldn't! Also a nice protection device for ribbon mics. Phantom blocker blocks Phantom power while leaving the audio signal intact. Phantom power can be applied to either the male or the female side of Phantom Blocker's XLR connector and will not reach the opposing xlr connector, the audio signal travels without restriction in both directions. Some (older) preamps are sensitive for Phantom power at the input. The preamp's input transformer cannot handle Phantom power from another source. The transformer's thin silk isolations can burn out because a burst of Phantom power switching on creates a high voltage in the input transformer ,to prevent this a complete blocking is needed. When connecting an unbalanced TRS to XLR cable pin 3 of the XLR connector is directly connected to ground, creating a short, this can damage input transformers and under-dimensioned phantom power circuits. Phantom blocker is a great solution to protect the output of any device connected to the XLR input of a mixing desk or preamp which has Phantom power switched on, e.g. your computers audio interface. There are microphones (single ended/unbalanced types) which do not tolerate Phantom power but Ribbon microphones can also be destroyed if used in unbalanced condition with Phantom power applied (ie. cable or adaptor problem). Connecting a passive ribbon microphone to a cable which has Phantom power applied sends a transient through the microphone and can, in some instances, force the ribbon out of the magnetic field it is suspended in and can permanently stretch the ribbon. To protect your Ribbon microphone against Phantom power we advice using a Phnatom Blocker (or, of course, a FetHead). Price: 33,00€ Exc. VAT / 39,93€ Inc. VAT.